As we anxiously wait for Big Brother Naija Season 3 to kick off on 28th January 2018, we are aware that you don’t want to miss a single moment of the action, therefore we put up a list of where you can keep in touch whatever is taking place inside the Big Brother Naija House 24/7. 1. The show will be airing on all DStv bouquets on channel 198. If you are not a subscriber, you still have time to subscribe and ensure that you don’t miss out on any of the 24-hour entertainment. 2. All GOtv subscribers will be able to watch the show on channel 29. 3. Catch the show on your favourite device by downloading the DStv Now App or logging in on your computer. 4. Get your 15-seconds of fame by sending your special message to TV and tell your friends, family, and followers to watch it air on live TV. 5. Follow our Twitter account, @BigBro_Africa and join in on the fun by liking and retweeting the daily memes, gifs and videos. Be heard and join the conversation with fans from all over the continent by using the hashtag #BBNaija. 6. Make sure you check the website daily as it will contain exclusive content. This will range from the Evicted Housemate’s exit interviews to insights with your favourite Nigerian musicians. 7. Don’t be all talk and no action. You will need to vote to ensure your favourite walks away with the N45 million worth of prizes! You’ll be able to vote via SMS as well as on the official BBNaija website using both your mobile device or desktop/laptop. You have no excuse, so make sure that you catch all of the drama, action and romance 24/7 and... expect the unexpected. 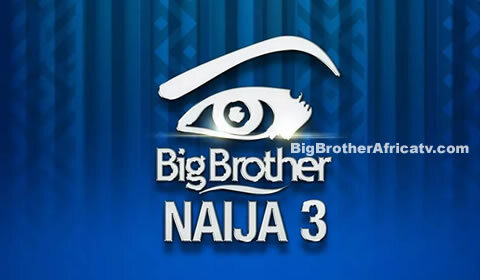 Big Brother Naija Season 3 premieres on Sunday 28 January 2018 and will be exclusive to DStv Channel 198 and GOtv Plus Channel 29. Big Brother Naija is proudly sponsored by PayPorte, your preferred, online, retail store.